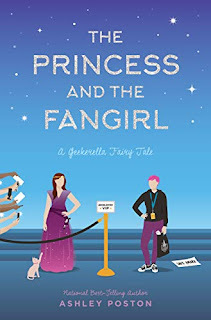 Today, as well as my review, I have some news about, The Princess and the Fangirl. This book comes out on 2nd April and Quirk Books are running a pre-order campaign. Everyone who pre-orders The Princess and the Fangirl will receive . . .
Review: Oh I absolutely loved being back in this world again. I loved being among the fandoms and at the convention again and I loved seeing Elle and Darien, the Magic Pumpkin and Sage again. This time though, we get to meet even more wonderful friends. This book introduces us to another side of the Starfield fandom. A fan and blogger and another star of the movie. I loved seeing yet another side to the fandom and the convention and I loved the new characters that we are introduced to. Jess is a fab character to begin this book with because you think she's a bit of an entitled brat but when you start to get to know her and see what she's actually dealing with on a daily basis, wow there is so much more to her than meets the eye. The teacher and grown up in me spent a lot of time over the course of the book worrying about her and I still want to do something to help her with her social media stuff but... And then we have Imogen, a blogger (yey!) she is fabulous because she is feisty and she thinks she's got it all figured out, but we know the truth don't we. I loved getting to know her and seeing her grow and change as this novel progresses. If you thought the romance in Geekerella was cute, you are going to love the romance in the one. I definitely said 'aww' out loud on more than one occasion while I was reading this. I read it with a friend and it was absolutely torture stopping at one of the agreed stopping points until we had both caught up and could discuss because I needed to find out what was going to happen next, whether something romantic was actually going to happen. Just so cute! 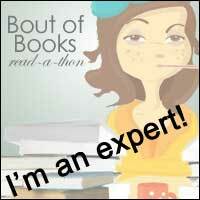 There is a great diverse mix of characters in this book as well. The diversity isn't just there for diversity's sake, it actually makes sense for the plot of the book and to make it true to real life. I loved the different likes and wants of everyone and I love the fact that we have a bit of a girly girl with short pink hair in here who still loves nothing more than a pair of converse on her feet-great job on that one Ashley Poston. Just like Geekerella, there are lots of fandoms represented in this novel, not just Starfield. There are plenty of Easter eggs for fans out there and for fans of Geekereall, like me, there are lots of character cameos from the first novel so watch out for them. I definitely recommend adding this book to your TBR now, it is so cute and so on point your life will be a happier place for reading it-trust me!